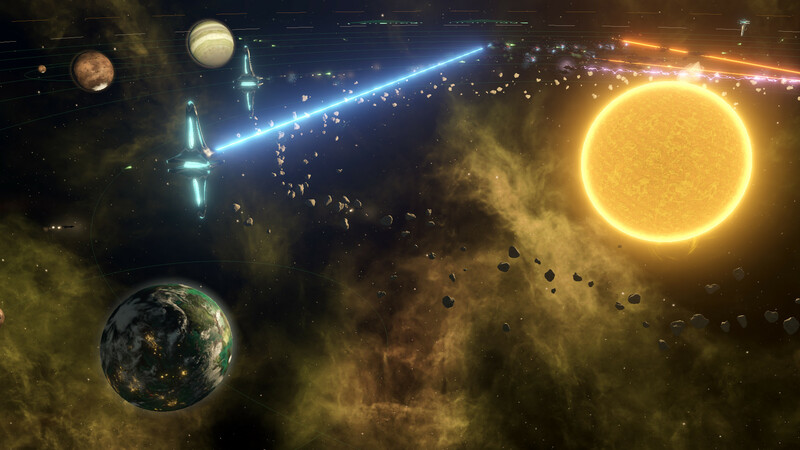 Paradox Development Studio is bringing the grand strategy genre to consoles for the first time ever with Stellaris: Console Edition. 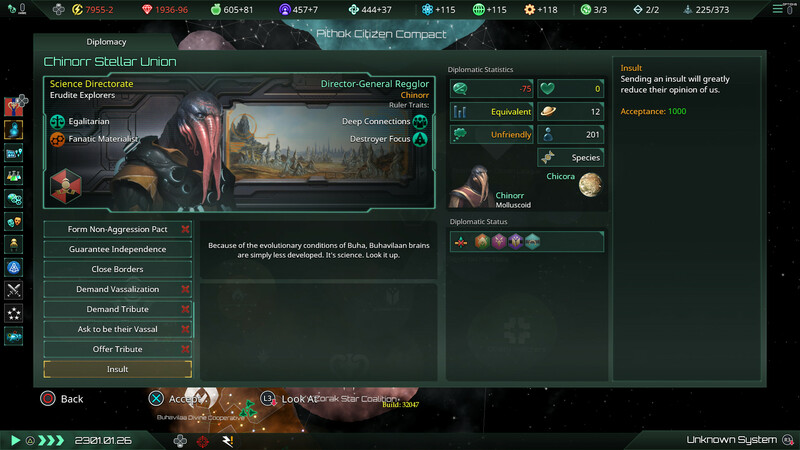 Featuring the same deep strategic gameplay, rich and diverse alien races and emergent storytelling, Stellaris: Console Edition puts the complexity of the galaxy at your thumbsticks. •	Behold the enormity of space with procedurally generated galaxies with an untold number of planets to explore. •	Encounter a myriad of wild, wacky, and dangerous alien races who may prove to be crucial trade partners or conquering forces hellbent on enslaving your civilization. •	Take on strategic space warfare and resource management to ensure the survival and advancement of your empire. 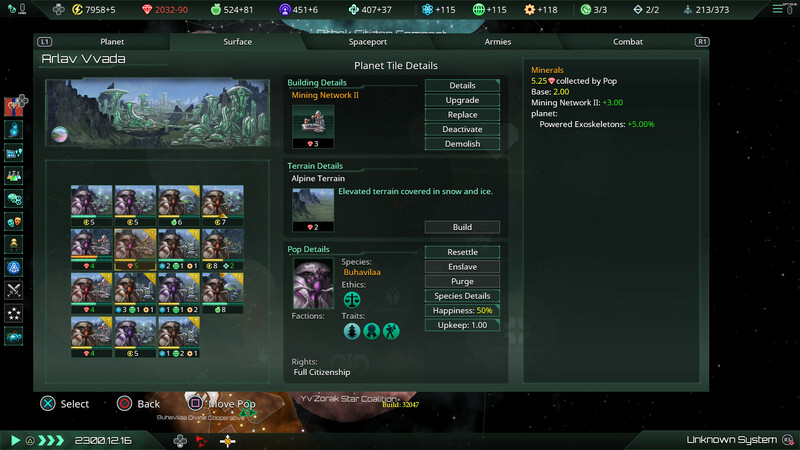 •	Explore scientific anomalies and uncover technological wonders throughout the galaxy to mercilessly utilize them toward your own gains. 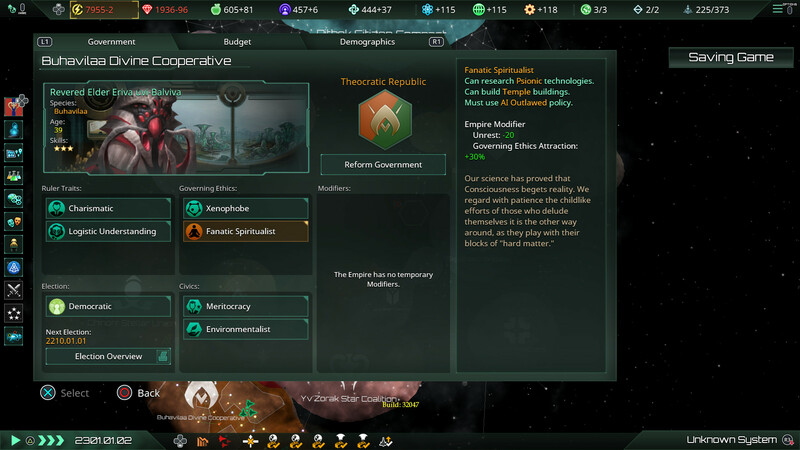 •	Govern your own fledgling population and secure your power and agenda through manipulating internal policies, factions, traditions and more. 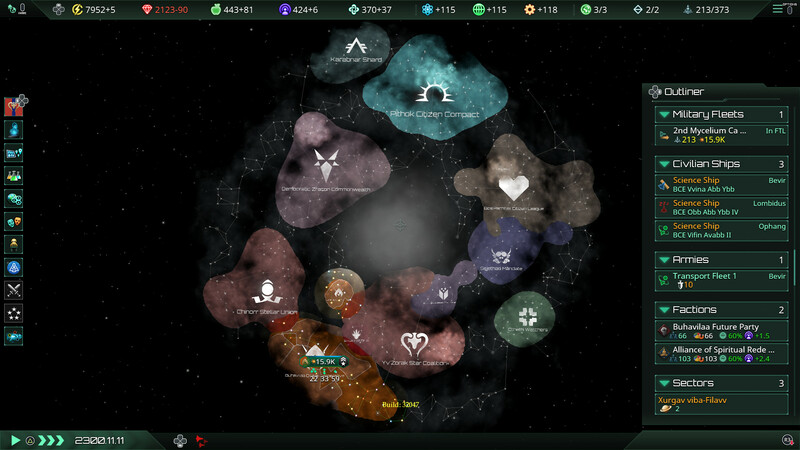 © 2016-2019 and published by Paradox Interactive AB, STELLARIS and PARADOX INTERACTIVE are trademarks and/or registered trademarks of Paradox Interactive AB in Europe, the U.S., and other countries. PlayStation®4 Edition adapted by Tantalus Media Pty Ltd. All other trademarks, logos and copyrights are the property of their respective owners.